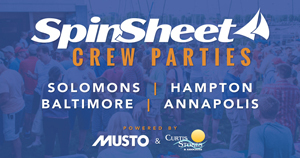 Welcome to the SpinSheet Crew Finder. This free service is provided to match skippers looking for crew with crew looking for boats. Sign up today to be included in the searchable listings or search the listings below. When you find the right crew or the right boat, let us know. We want to hear your success stories and share them with other SpinSheet readers. Email us at [email protected]. And, most importantly, get out sailing early and often!